Is there a full table of the parts and their C-Bill costs available for Mech Building? Either official from the company (Yes, I'll buy it) or unofficial on the web? My group is just starting out in the RPG, I tried searching the forums history for help, but it is very early, and the tea is gone. Re: 'Mech Parts Cost List? 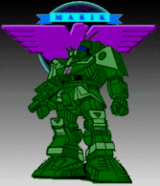 There is not a complete table that I am aware of, weapon and equipment prices are, of course listed in TechManual and Tactical Operations, and Strategic Operations has optional rules for buying major components such as engines, sections of a 'Mech chassis or a turret ring, for example. Or you can just extrapolate the cost of that kind of equipment from the cost formulas in TechManual. Hope that helps. Pity. My GM is hunting for one and is going slightly insane due to the lack. Every cost can be worked out from the pricing data in TechManual. Weapons and equipment outright have listed costs, while structural components can be worked out from the formulas given. The only data that's missing are weights for a small number of things like actuators, which is only a problem if you need to model cargo. If push comes to shove your favourite Mech editor will usually have a cost breakdown option. That implies we HAVE a favorite 'Mech Editor. New to the game, no clue what we're doing, have a nice day. Here's the current crowd favourite: Solaris Skunk Werks. I think it comes with nearly all the canon mechs and equipment, it should keep you busy for a good long while. You can find the cost for `Mech parts in Tech Manual, page 277 and 278. That will give you the cost for things like engines, cockpits, etc (though some of these are dependent on the `Mech's weight and other factors, so you'll need to do some math yourself). The final formula for figuring out `Mech costs is on page 285. The cost for various weapons and equipment start on 290. Sweet, this is exactly what I was looking for, thanks!!! Looks like I have some hunting for books to do. Oh, and of course, all the costs for TacOps equipment is in TacOps near the back. You know that two people suggested TechManual before him and you ignored them. That's what I get for reading the forums before tea/bed. First off, thanks to everyone who answered my question before, sorry it seemed like I didn't get it, but the page numbers is what triggered me to thinking that I had gotten the answer at last. (Again, I blame a lack of tea before posting.). Now, however, I find myself having to see about finding costs for conventional vehicles for military and non-military purposes (Why I became the Quartermaster of the group, I have no idea.). So, any book/page suggestions folks can steer me towards? Depends on what you mean by conventional vehicles. If you mean like say, the Demolisher, then the formulas for the cost are just after the formulas for the vehicles. If you mean things like a sedan, or a truck, that gets a little more complicated. Well, Flatbed Truck has a stat sheet, even if I can't find a C-Bill Price for it. But Jeep, and other vehicles such as those?